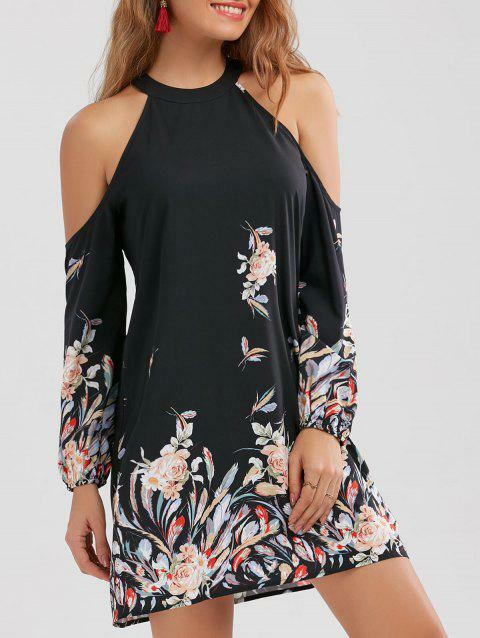 Pretty floral print shift dress featuring button closure keyhole back, cut out shoulder long sleeves, a mini length and a flared silhouette. I'm in love with my dress!! true to size..got a LG! the arms are a little tight but workable. might reccomend a size bigger if you have big arms. This dress is stylish, comfortable, and fits well. I just love it! Dress fits nice and looks nice. My arm are alittle thick but still fit nicely. Q:Are the sizes ...true to size ?!? Q:The breast sizing please for the xl and x2 Wanna make sure it fits Ur size guide doesn’t include those measurements Thank you Will this get here before New Years?